Nissan Navara 2.5TD DCi DPF Removal Service!! Removing the DPF from your Nissan Navara can be a bit scary if you’re not sure what it’s all about. The last thing anyone wants is to have their car modified by a “Mobile – Man In A Van” Guy because if it does go wrong, there’s not much chance he’ll come back to save the day once he’s been paid out! – 80% of DPF Removal companies are non-registered so no real warranties! We’re an established company and the first in the UK & Europe to successfully offer a complete DPF-OFF (DPF Removal) solution with no negative effects. You will notice an increase in performance, better fuel economy and simultaneously increase the life expectancy of the engine and other mechanical components. We also offer a lifetime warranty with our custom DPF Removal software – Nationwide! Click Here To Find A Sinspeed Approved Dealership In Your Area – We Operate A Nationwide Service Covering The UK & Ireland. Firstly we’d recommend taking time to understand how the Diesel Particulate Filter (DPF) operates. If you’re unsure how a DPF operates, then please check out our Diesel Particulate Filter & DPF Removals Article. The Nissan Navara DPF is very large and sits half way down the exhaust on the middle section. It traps particulate soot and then requires to reach very high temperatures for prolonged periods of time (motorway journeys) in order to successfully burn off the particulate soot matter via a process called “Regeneration”. When the exhaust gasses exit the engine & turbo they can be in excess of 800 degrees Celsius however, the problem is that by the time the gasses reach the middle section of the exhaust where the DPF sits.. they could be as low as 400 degrees Celsius – this will vary on weather conditions and driving conditions. So, the DPF won’t reburn all the particulate soot matter and it will continue to block up. If your DPF has become blocked, it is strongly recommended that you don’t drive the vehicle unless necessary. 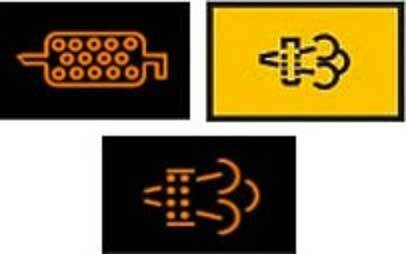 A lot of people now days are driving their vehicles around with blocked DPF’s until it’s absolutely 100% blocked to the point where it loses all power and in some cases breaks down and cuts the engine out. The longer you leave it, the more damage it will cause. When the DPF gets blocked, it’s choking the engine. The exhaust gasses are being blocked from exiting the exhaust, this excess build up of back pressure will build up all the way back to the turbo and put a lot of backspin strain on the turbo until eventually it gives up and blows a turbo seal. – You may not know it, but it may have already blown an oil seal and began to leak.. you won’t immediately notice loss of power, that could come further down the line in the future! After the pressure has blown passed the turbo, it will continue back up into the engine and over pressurise the engine/crankcase. You can imagine, doing so will not be good. We’ve seen headgaskets, oil seals and injector seals blow in extreme cases. Below is a list of problems which can occur when dealing with a blocked DPF. Some issues may not occur straight away, it all depends how long you’ve been driving with a blocked DPF and the driving style that you’ve continued with on a blocked DPF. Local runs even back and fourth to the shops will build up pressure. My Nissan Navara DPF Is Blocked – What Are My Options? If your Nissan Navara DPF is blocked then you have three choices really. Firstly, you could attempt a regeneration up the motorway and if that fails, have it force regenerated by a local workshop, however, the more you regenerate the DPF the more you reduce the life of the filter and eventually you’ll find it will become more and more blocked.. quicker & quicker. – Also, each time you forcefully regenerate the DPF you are adding excess strain on the injectors as they’re having to pump fuel at excessive pressures for prolonged periods of time to reach optimum temperatures. Your second option is the replace the filter with a new part. Never replace a blocked DPF with a used part, there will be no guarantees that it will last. Always used new and genuine parts when replacing a DPF, we’ve had customers replace their filters with copy / aftermarket parts and they always end up back where they started but £300-700 out of pocket for choosing the cheapest option. The DPF system is a poorly designed system to start with, don’t add to the problem by using copy parts. Your third & last option is to have the DPF system removed completely from the vehicle. Having the DPF removed is very technical and should only be carried out by professionals. Once the DPF has been successfully removed, the vehicle will run a lot better as there will be no excess back pressure and the engine will be able to breath a lot easier. This means the engine can produce more power per stroke of the engine cycle which in turn means better throttle response, more power, better fuel economy and an overall increase in performance. Also, because there is no build up of excess back pressure and the engine & turbo don’t have to work as hard to produce the same amount of power, they are under less strain and so you’ve simultaneously increased the life expectancy of those mechanical components as well as others. 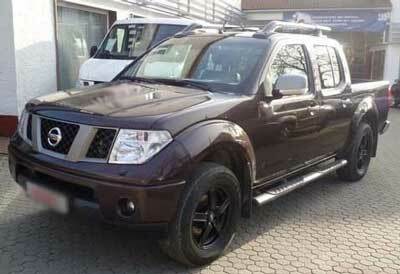 We can successfully remove the entire DPF system from your Nissan Navara, both mechanically & electronically. We have a 4-step system to ensure 100% success rate on all the vehicles we offer DPF Removals for. First we start by deleting all fault codes and carrying out a full reset on the vehicle – bringing it back to a virgin state. We then download the data from the Engine Control Module (ECM) also known as the Engine Control Unit (ECU) and manually scan through 1000’s of data strings to locate, delete & modify all DPF data structure strings. This is the ONLY sure way to delete a DPF system completely without problems occurring. We then physically remove the filter from the exhaust system to release the back pressure build up so that there is no further blockage. Finally, we carry out a unique smoke-correction service, unique to Sinspeed. By doing so, we can ensure that the vehicle will not smoke and that it will continue to pass it’s MOT. For more information on this and how we can help, check out our smoke-correction service which is inclusive of a “DPF Removal” by Sinspeed. IF YOU’RE HAVING DPF PROBLEMS, WANT A QUOTE FOR REMOVAL OR EVEN JUST SOME FRIENDLY ADVICE – CALL US TODAY ON 0844 847 9999. 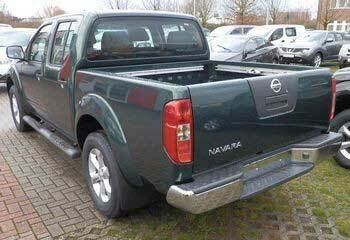 Tags : Help With Nissan Navara DPF Problems, How To Remove Nissan Navara DPF, Nissan DPF, Nissan DPF Problems, Nissan DPF Removals, Nissan DPF Repairs, Nissan DPF's, Nissan Navara De-DPF, Nissan Navara DPF Failure Help, Nissan Navara DPF Fix, Nissan Navara DPF Fixed, Nissan Navara DPF Help, Nissan Navara DPF Off, Nissan Navara DPF Problems, Nissan Navara DPF Regen, Nissan Navara DPF Regeneration, Nissan Navara DPF Removal Mot, Nissan Navara DPF Removal Procedure, Nissan Navara DPF Removal Remap, Nissan Navara DPF Removal Session, Nissan Navara DPF Removal Solution, Nissan Navara DPF Solution, Nissan Navara DPF Solutions, Nissan Navara P2002 Fault Code Fixed By Sinspeed, P2002 DPF Failure - Best Solution From Sinspeed, P2002 Fault Code Solution For Nissan By sinspeed, Removing Nissan DPF, Removing Nissan Navara DPF, Replacement DPF For Nissan Navara. but after 4 days the warnning light came on again. i prefer to remove the dpf.